उनके आगमन के बाद से, वेपोराइज़र्स उद्योग के भीतर एक सांस्कृतिक घटना के बारे में कुछ बन गए हैं. यह आसान है: vaping एक स्वस्थ है, लेने वाली सूखी जड़ी बूटी उत्पादों या अन्य ई-तरल पदार्थ के स्वादिष्ट और अधिक कुशल विधि. लाभ है कि भांग vaping के साथ आते हैं के बावजूद, बहुत से लोग अभी भी धूम्रपान करने के लिए जारी रखने के लिए. इसके पीछे एक कारण यह कितना आसान है वास्तव में वाष्पीकरण के माध्यम से भांग का उपभोग करने के लिए है पर लोगों की गलतफहमी है. इस लेख में, हम आपको प्रक्रिया के चलाने के लिए और तुम बताओ कि तुम क्या vaping के बारे में पता करने की जरूरत आरंभ करने से पहले होगा. तकनीकी शब्दों में, vaping किसी भी रसायन के हीटिंग या जुर्माना भाप में ठोस है. यह किसी भी दहन के लिए की जरूरत eradicates – कौन कौन से, हम जानते हैं के रूप में हमारे लिए काफी खराब है – यह खपत का एक स्वस्थ विधि बनाने. धूम्रपान के बीच अंतर यह है (दहन) और vaping कि वाष्प कम तापमान पर जारी किया गया है है. यह बेहद महत्वपूर्ण है के रूप में भांग में पाया लाभकारी रसायनों के बहुमत इन कम तापमान पर जारी किया जाता है. Each essential oil found in cannabis has its own unique temperature point at which it begins forming a vapor. These essential oils change from the original form of oil or liquid to a gas product. Unlike smoking, when vaporizing the carbon, it does not burn as its temperature is too low. This allows you to enjoy all of the positive effects of your dry herb without having to worry about the harmful toxins and carcinogens released by combustion methods that commonly occur when smoking. Products such as cigarettes contain a long list of additives and when burned, they release and produce harmful carcinogenic properties. When these properties are inhaled, they can lead to inflammation of the lungs and even bronchitis. The harmful chemicals found within smoking products are ingested into the body and the lungs; in turn, they can manifest themselves into a disease. Vaping eradicates the need for this process to occur and prevents the user from coming into contact with these properties. One of the most common concerns for people who don’t vape is whether or not it’s safe. As we’ve already mentioned, it’s easy to see that vaping is a far safer alternative to smoking, regardless of what traditionalists might say. Smoking is harmful to your lungs; whether it’s cannabis or tobacco, the inhalation of chemicals into your lungs is damaging. This is something that has repeatedly been emphasized in medical journals across the globe. By vaping, you are eliminating smoke inhalation and taking in far less carcinogenic properties into your lungs, thus decreasing your risk level of developing illnesses such as cancer. As with everything, हालाँकि, it’s imperative to keep in mind your body’s limits. People who are new to vaping should always consider the strength of the cannabis they are going to use – as the stronger and more potent the strain is, the larger the effect it’s going to have on the person using it. It’s a good rule of thumb to always know how much THC is in what you’re using in order to control your intake. THC stands for tetrahydrocannabinol, which is the chemical responsible for most of the herb’s psychological effects. Overall, there is no danger when vaping, but it always helps to be informed and knowledgeable when using new products to prevent a bad experience. Vaporizing delivers more of the psychoactive cannabinoid found in cannabis, so when first starting out it’s a good practice to test it out a few times and see what you can handle and what feels most comfortable to you. 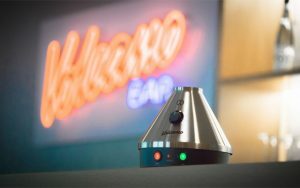 What type of vaporizers are available? The vaporizing market has exploded in recent years with its surge in popularity, and this has allowed a variety of high quality, luxury vaporizers to enter the market. 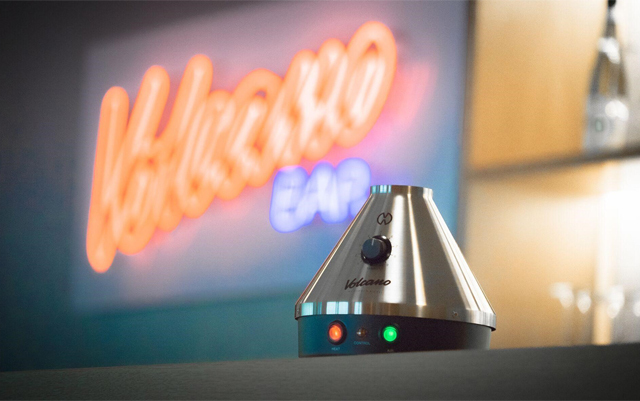 This market is very easy to navigate, but it helps to have some information before choosing the best vaporizer for you. Every person is different and each has their own preference. Below are a few different types of vaporizers available on the market today. The desktop vaporizer is simply a beast. The desktop vaporizer is not a portable device (clue is in the name) and is primarily for home use. These tend to be the most expensive vaporizers on the market, but they also tend to be the most technologically advanced. The desktop vape allows the user to vape with more precision and ultimately have more control over temperature. Cannabinoids and terpenes all have their own unique effects and medicinal benefits. They require a range of different temperatures in order to vaporize them correctly and achieve the best results. Desktop vapes work best for those looking for specific effects and strong medication in their own home. If this sounds like you, then a desktop vape might just be what you are looking for. Dry herb vaporizers tend to be portable, handheld and easy to use. They can come in a vast range of different shapes and sizes and price ranges. They tend to function in similar ways, with the only major differences featured on higher end models. Dry herb vaporizers work by heating up the herb in order to release vapors without creating carbonization. The majority of these will rarely have any features in relation to temperature control, although some of the higher end models will include such features. Dry herb vaporizers are great for users looking to achieve the same effect as smoking. 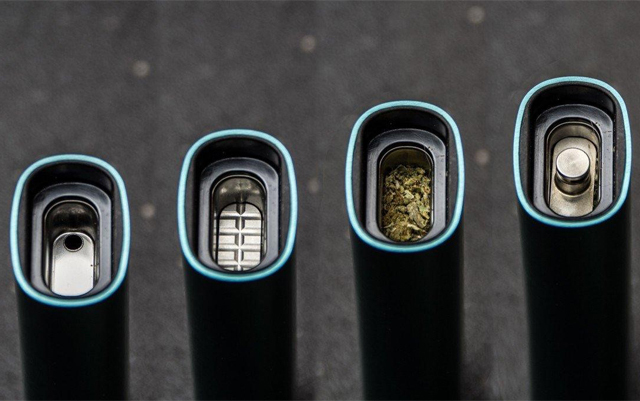 They allow the user to have easy access to their herb on the go and enjoy a similar smoking experience. Oil and cartridge vaporizers are probably the most well-known type of vaporizer on the market today. This style of vaporizer gained massive popularity through the e-cigarette market and helped to introduce many new users to the vape community. Most commonly known as pen vaporizers, they are small and discreet and perfect for those on the go – unlike other vaporizer options on the market. Most of these portable vaporizers are battery powered and can provide the user with some very strong effects and highs. Pen vaporizers are generally effective, and their lower cost helps make them an extremely popular method of vaping among users. Vaping is healthier for your lungs as it contains little to none of the toxins that are commonly found in smoking. Less odor is produced when vaporizing, making it a more discreet and easier way to enjoy your herb. A vaporizer is more efficient, using between 10% सेवा मेरे 30% less of your herb product in comparison to smoking or using a bong. Easier and faster to use then more conventional ways. Information on vaping cannabis is easily found, but knowing the essentials is all you need to begin your vaping adventure. Vaping cannabis is much simpler and easier than the traditional method we’ve grown accustomed to and is worth trying for its health benefits alone. All it takes is simply having a go and trying it out, and in no time you’ll be vaping like a pro.